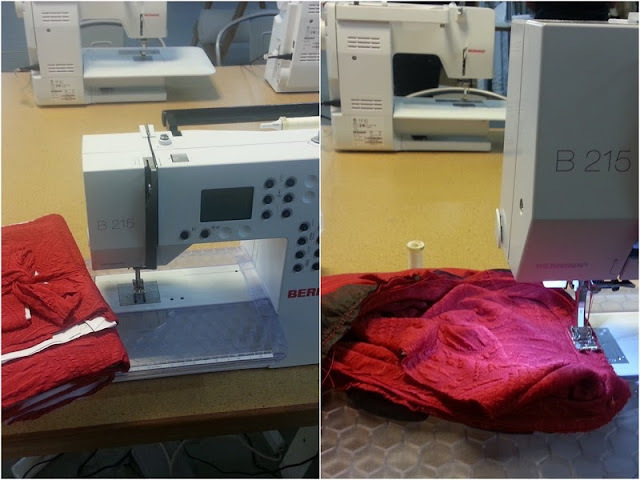 After the success of sewing my lovely cushion cover I was keen to enrol in another sewing class asap...to keep the momentum going. This time I was keen to make something wearable out of stretch fabric as that's a fabric I wear a lot (aka "eating dresses"). I enrolled in a "Learn to Sew Stretch Fabrics" back at Sew Make Create and took myself off fabric shopping. 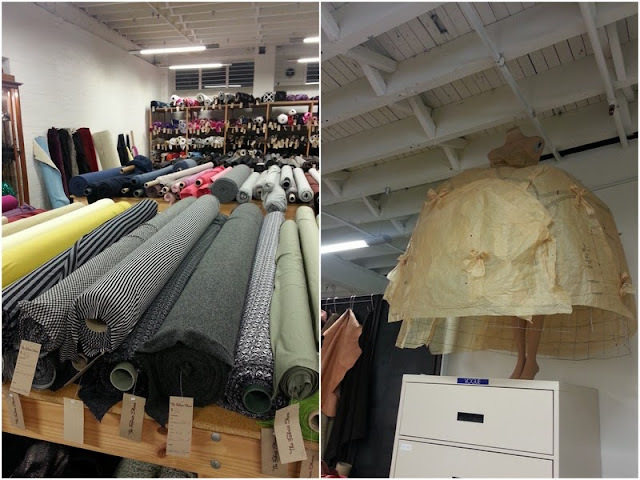 First stop was The Fabric Store in Surry Hills. 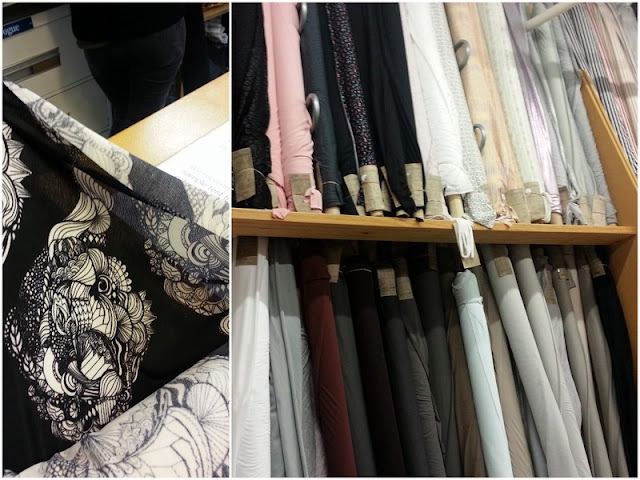 This store has LOVELY fabrics...REALLY lovely fabrics that sadly come with a really BIG price tag. I was really tempted to buy something from their enormous range of knit (aka stretch) fabric but I just couldn't justify paying top dollar for something I was probably was going to ruin. Next stop is Tessuti where I did my very first Learn to Sew class. They also have super lovely fabrics but again they are NOT cheap. I was tempted by a few pieces that were way out of my price (and ability) range. And then I spied a nice roll of fabric that was on sale for $14/meter so I nabbed it. 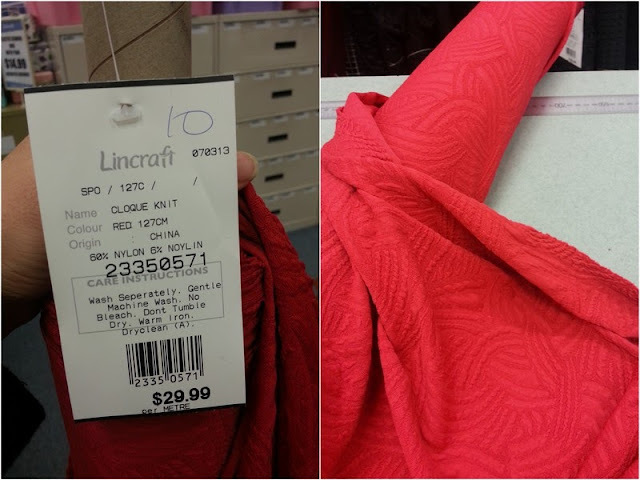 Of course because I'm a tad OCD I popped into a Lincraft where I spied a lovely roll of red fabric that had some bobbly texture to it. I didn't buy it, but i couldn't stop thinking about. After two more visits to "check it out" the material came on sale so I bought it. SCORE! So, now I have two lots of fabric...and sadly my class at Sew Make Create didn't go ahead as I was the only person enrolled (tears were shed when I heard this -- so sad). They weren't sure when the class would run again as the teacher was going overseas so I decided to see if I could go to the Tessuti class where you BYO your own "stretch project". 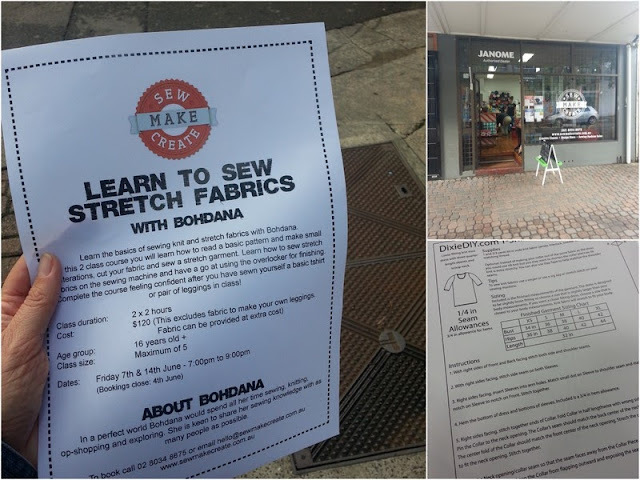 It wasn't a beginners class, but because my pattern was SO simple I was able to enrol *fist pump*! In hindsight this wasn't the best type of class for me as we weren't all sewing the same thing. Although my dress was "easy" I needed a fair bit of guidance on what to do next. That said, I did learn how to fit a neck binding and how to sew in some whacky kind of paper fabric to make sure the neckline doesn't overstretch. I also learned a quick fix on what to do when a straight dress is obviously NOT going to fit my larger than life food-bloggers derriere (it's called a godet - a triangle wedge of fabric that caters for big butts/thighs/hips/tummies). When we realized we were nearly out of time the teacher sewed up the remainder of the side seems for me which is a shame as I probably could've managed to do this myself. 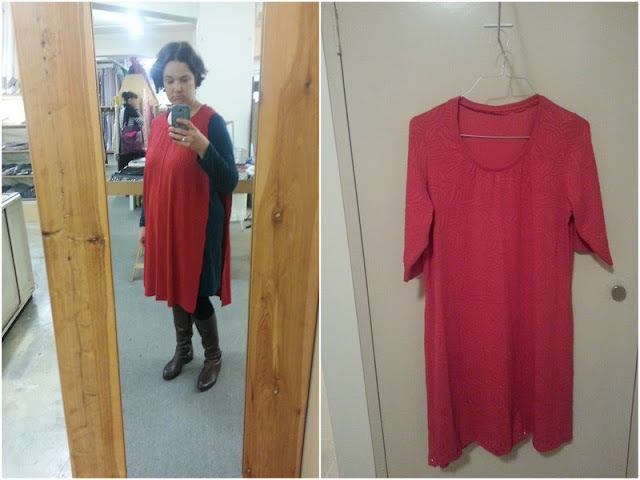 The dress is still un-hemmed and is now rolled up in the bottom of my cupboard - to be looked at when we're friends again (and when I learn how to hem a stretch garment).